According to allegations contained in the indictment and statements made in related court proceedings, Liberty Reserve was born out of Budovsky’s unsuccessful experience running a third-party exchange service, called Gold Age Inc., for another digital currency, called E-Gold. In or about 2006, Budovsky was convicted in New York State of operating Gold Age Inc. as an unlicensed money transmitting business. In 2007, the operators of E-Gold were also charged with criminal offenses, including money laundering and operating an unlicensed money transmitting business, and subsequently ceased doing business. In the wake of his own criminal conviction, Budovsky set about building a digital currency that would succeed in eluding law enforcement where E-Gold had failed, by, among other ways, locating the business outside the United States. Accordingly, Budovsky emigrated to Costa Rica, where he and other defendants began operating Liberty Reserve. Liberty Reserve emerged as one of the principal money transfer agents used by cybercriminals around the world to distribute, store, and launder the proceeds of their illegal activity. Before being shut down by the U.S. government in May 2013, Liberty Reserve had more than one million users worldwide, including more than 200,000 users in the United States, who conducted approximately 55 million transactions through its system totaling more than $6 billion in funds. 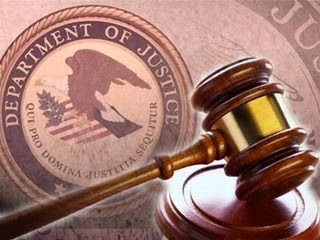 These funds encompassed suspected proceeds of credit card fraud, identity theft, investment fraud, computer hacking, narcotics trafficking, and other crimes. Investigations, with assistance from the Secret Service’s New York Electronic Crimes Task Force. The Judicial Investigation Organization in Costa Rica, the National High Tech Crime Unit in the Netherlands, the Financial and Economic Crime Unit of the Spanish National Police, the Cyber Crime Unit at the Swedish National Bureau of Investigation and the Swiss Federal Prosecutor’s Office also provided assistance. Liberty Reserve had been in business more than a decade before it was closed in CR. the interviewer "Ragnar" is Vlad Kats his associate. Also GoldAge was an exchange for all kinds of digital currency not just e-gold. I'm glad they shut down LR, no one liked them but there's much more to the story.